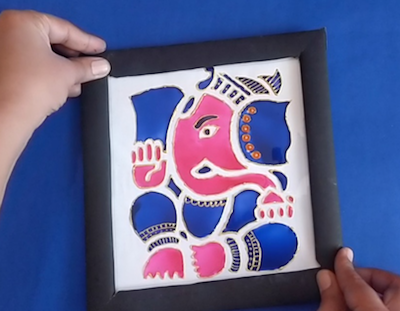 How to make Lord Ganesha glass painting at home. For painting use mirror or ohp sheet. This glass painting for beginners with step by step instruction.